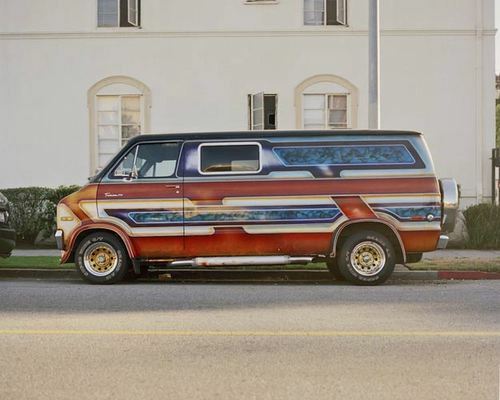 For years, Joe Stevens has been documenting surviving 70’s and 80’s era custom/conversion vans parked on streets throughout the Bay Area and Southern California. 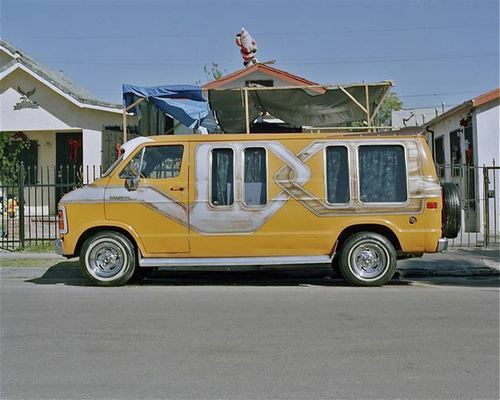 Vans and the places where they were documents surviving custom and conversion vans across the West and examines the dialogue which exists between a van’s design aesthetic and that of its surrounding environment. The project began in 1996 and currently consists of hundreds of images shot on 120mm film. Over the course of the project the vans themselves have become more and more of a rarity. The reasons are as simple as rust and changing tastes; and as complex as government “cash for clunkers” initiatives encouraging more fuel-efficient transportation. Notably, at the same time these vans have been disappearing from our roads – film photography as a visual medium has also begun it’s slow death. Consequently the goal of the project is to one day shoot the last remaining van on the final frame of photographic film in existence. Then the project will be finished.